The screening I went to was followed by a panel discussion featuring three psychiatrists, one who was a consultant on the film, and two local doctors. It was an interesting discussion given the plot of the film (both in terms of how it's being sold, and what it's really about). I'm going to offer a brief spoiler-free review, and follow it with some interesting--albeit spoilery--bits from the post-film discussion. The fact that I went into Side Effect assuming it was one movie, and came out having seen a different movie entirely, was fun. But that's really Soderbergh's modus operandi, sometimes for better, (Contagion is a much smaller end-of-the-world movie than one would think), and sometimes for worse, (Magic Mike turns into a dull and predictable look at consequences, when it was sold as nothing but a good time). But in this case, I think it's for better. It begins as one kind of psychological thriller, and turns into a different kind by the end. Rooney Mara stars as Emily, the young wife of Martin (Channing Tatum), a white collar criminal who is released from prison at the beginning of the film. She suffers from depression, and after a suicide attempt, she comes under the care of Dr. Jonathan Banks (Jude Law) who, on the advice of her former psychiatrist (Catherine Zeta-Jones), prescribes antidepressants to Emily. Rooney Mara sells the pretty-but-crazy girl angle quite convincingly, which isn't that surprising being that her last role was as Lisbeth in The Girl With the Dragon Tattoo. 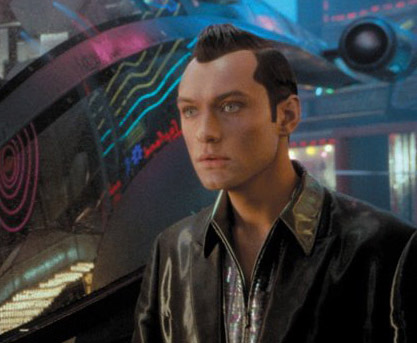 And Jude Law, (who is definitely not the pretty boy he used to be), is equally good as her frustrated, sympathetic, and perhaps morally questionable shrink. Soderbergh can get some criticism at times for being a little cold; not really delving too deeply into his characters, and telling a story too quickly. But it's no secret that I have a problem with excessive film lengths, so I've always admired Soderbergh as a storyteller; there's usually just the right amount of movie up on the screen, and I found that to be true here. While the ending may produce some groans--at times it swerves into silly--I think it plays as well as any of the classic movies in a genre I can't name, because to do so would be to reveal to much about the movie. I'll just say if you see the ads, and you decide not to see the movie because of what you think it's about, go ahead and see it, because it probably isn't about that at all. Stop reading now if you'd rather not read anything spoilery! The post-film panel discussion was lead by Dr. Megan Lisska who is chief psychiatrist at San Mateo County Jail, and included Dr. Sasha Bardey a forensic psychiatrist who was a consultant on the film and has also worked as consultant on "Law & Order Criminal Intent" and "Law & Order: SVU," and Dr. Rona Hu, a professor at Stanford. The two local doctors had no real idea what the film was about going in, but admitted they had some reservations as it looked like it was a thriller that wouldn't portray the psychiatric field in the most favorable light. Dr. Lisska remarked her initial thought was "Great! Another movie about an antidepressant that makes you kill people!" But both doctors ended up appreciating that the movie was thought provoking and actually kind of positive towards psychiatrists. But this lead to the inevitable discussion: The movie is being sold as a thriller about the evils of antidepressants, when it fact it's an old-fashioned film noir tale of greed and revenge, complete with a sucker of a good guy, and a femme fatale. But what about people who won't look past the poster or trailer and see the movie, and will come away thinking, well, here's further proof that antidepressants are evil, which is exactly the opposite message most psychiatrists would want to send. Dr. Hu agreed that this is a potential problem, but unfortunately, Dr. Bardey didn't really address it, instead insisting that because they made a movie that ISN'T really about the dangers of medication, there is no ethical conflict there. If people are going to take the wrong assumption about the movie based on previews, there's nothing that can be done about that, aside from telling them to just see the movie. Which...maybe? Indeed, the movie doesn't paint that bad a picture of antidepressants, but it does acknowledge that they can be prescribed too quickly, and that it can take a while to find the "right drug" for the patient. The doctors recognized that there are people out there looking for a quick fix, and the direct-to-consumer advertising of antidepressants--which plays a big part in the film--has definitely increased the number of patients asking for specific drugs. Dr. Hu recounted a story of a patient bringing in an ad for Celexa featuring a woman in a sunlit room, smiling and surrounded by flowers, and the patient saying, "I want to feel l like this!" To which Dr. Hu responded "*I* want to feel like that! Even the woman in the picture doesn't feel like that; she's an actress!" When I first heard about Warm Bodies, and saw the trailer, I immediately joked it was Twilight with zombies, something akin to the SNL short about Twilight with Frankenstein monsters. And that's not too far from the truth. It's obvious this movie (and the book it was based on) exists because of the popularity of Twilight, a series I personally find reprehensible because of the message it's sending to teenage girls, namely, it's OK if you're boyfriend has a temper he can't control when he's around you, and could land you dead at any moment, because if he loves you that'll never really happen! Granted, Warm Bodies could be viewed as having a few of those elements as well (undead boy who loves/also wants to eat living girl). But we're dealing with zombies here, and the notion that a girl could fall in love with a rotting, brain-eating zombie is a pretty silly one, even in the realm of fantasy. Which is why it's a good thing Warm Bodies is a comedy. And a pretty good one at that. 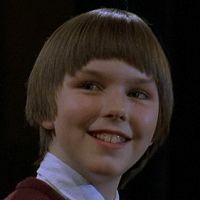 Nicholas Holt, (who I will never truly believe was once the goofy-looking kid in About a Boy), stars as the zombie-in-love. He's a literal slacker in a red hoodie, who can't remember his name past it's first initial, R. He spends his undead days shuffling through an airport, occasionally interacting with a fellow zombie, (Rob Corddry), who he deems his best friend, despite the fact that they can't do much more than grunt at each other. But we can hear R, as his internal thoughts serve as the film's narration, and it's through these thoughts that we find out he's pretty much your average young man: concerned about his future; worried if he's coming across as creepy; wanting to make a better impression by having better posture, but really unable to just stand up straight; tongue-tied around girls. The film's narrated opening moments are terrific. Of course, he IS a zombie, and as tends to be the case with zombies, he's got an insatiable hunger that can only be fulfilled by eating anything living, preferably human. He hates that he has to do this, but a guy's gotta eat. During a food run/rampage, R sees and instantly falls in love with the gun-wielding Julie, (Teresa Palmer), saves her from his fellow zombies by smearing her with smelly zombie juice, and takes her back to his home, a jumbo jet filled with mementos of a past life amongst the living. At first terrified, Julie eventually begins to realize R is not like other zombies, and the inevitable romance blossoms. To say the film is influenced by Twilight is true, but an even bigger debt is owed to Romeo and Juliet, the Shakespeare play at the heart of almost any story of star-crossed lovers. And in this case, it's not exactly subtle, from the names (R and Julie! ), to a disapproving father, (John Malcovich, who is also the leader of the living), and a scene that, yes, actually takes place on a balcony. Despite some of the film's predictability, it has a charm that won me over. Sure, the ultimate resolution is pretty hokey (love, you see, can cure a lot of things), and the "Bonies"--zombies that are reduced to nothing but angry, hungry skin and bone creatures--are kind of a boring enemy, and, thanks to some pretty weak CGI, not very scary. But as a metaphor for angst-filled, Goth-tinged young love, it works far better than Bella and her abusive boyfriend.